Cyclists can face a dilemma when they need to take their children along with them for rides. The same can be said for cross country cyclists who find it very hard to carry the heavy saddle bags on the bike racks. A number of companies have started producing versatile bike trailers that can help the cyclist enjoy his/her ride while not worrying about the safety of his/her children or belongings. Given below are 5 such trailers that would be a boon for every avid cyclist out there for sure! 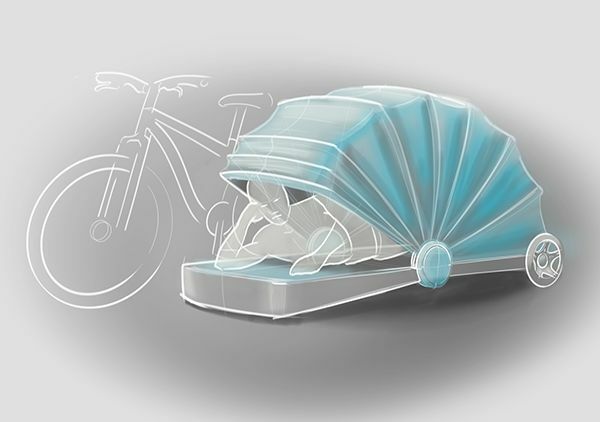 This futuristic looking bike trailer is actually a seat that can accommodate your toddler with ease. 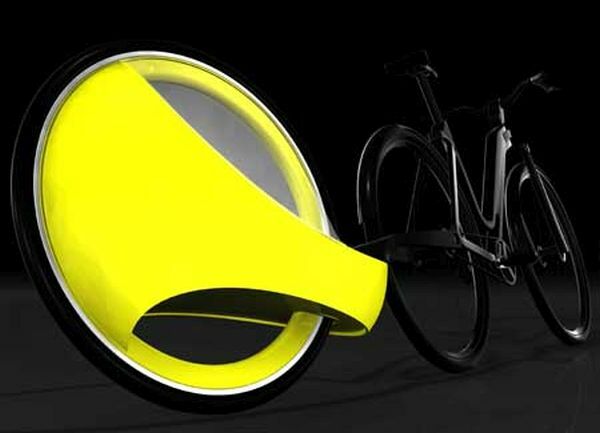 It comes with a floating seat for maximum comfort and is in the shape of a wheel itself. As such, it easily tows behind the bicycle without hindering the cyclist’s manoeuvrability. SPURT can also overrun obstacle easily and is the best choice for narrow streets where a wider bike trailer might find it difficult to move around without getting bumped into. The trailer also assures maximum safety of its driver via a supportive strap system and a hard plastic shell casing that covers its entire body. While a self-illuminating cover attracts the attention of nearby motorists, a built in rain cover offers protection from bad weather. 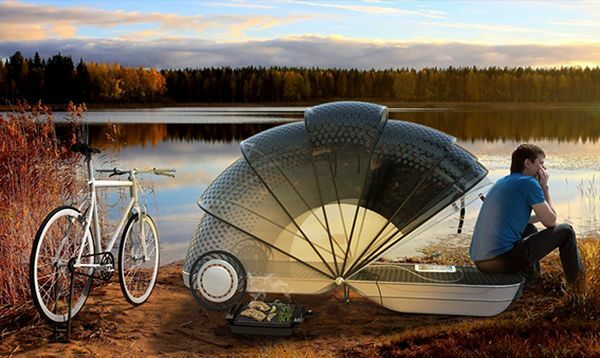 This one of a kind bike trailer is so lightweight that you will hardly notice it behind you. Built for maximum agility even in uneven terrains, the trailer comes with three storage compartments that together, offer a storage space of over 41 gallons. When paired with the TentCot, the trailer can double as a great camper for the night. If you think bike trailers were all about handling only basic stuff, think again. 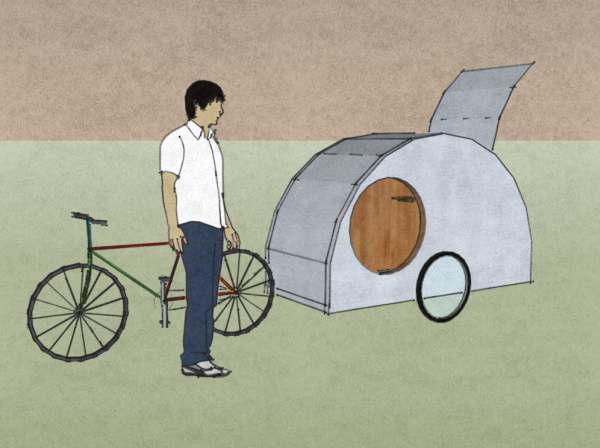 The mini caravan bike trailer may look small, but has some pretty impressive features inside. In addition to having enough space to fit a twin bed, the trailer accommodate a drinks cabinet, an electric kettle, an external satellite dish, a gaming console, central heating, solar panels on the roof and (the best) a 19 inch flat screen television. The perfect home away from home, we say! 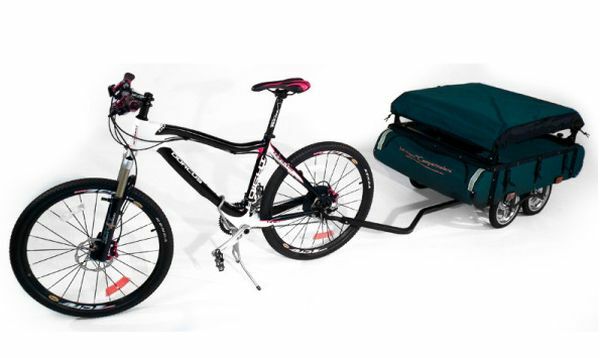 This bike trailer has plenty to offer for the cycling enthusiast who loves to go on camping trips. 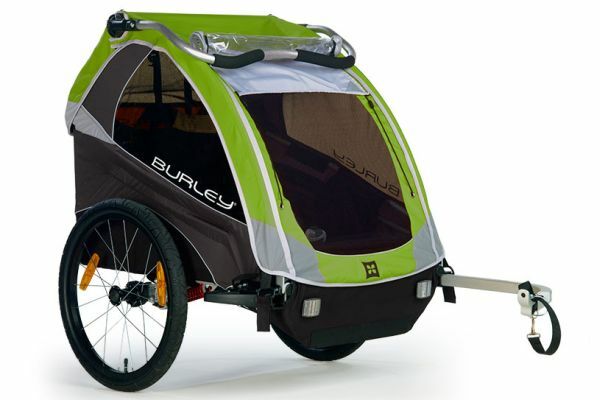 Along with a fully integrated shelter, the bike trailer features a bug proof mesh for those mosquito ridden areas. It also comes with a flexible sleeping pad and solar panels that offers power for your devices as well as the built in LED lights. This bike trailer is a hit with parents for its extremely versatile design that ensures maximum comfort for your toddler while riding behind you. A horizontal roll bar and an impressive restraint system makes this possible while an unrivalled cargo compartment ensures you have plenty of room to keep your books, bags, groceries and other essentials. Find it hard to carry around your camping bags while on a trip? Find it equally hard to take your kids along with you for a ride on your bicycle? Then consider opting for these versatile bike trailers that would let you enjoy your ride in peace without worrying about your child or your belongings.